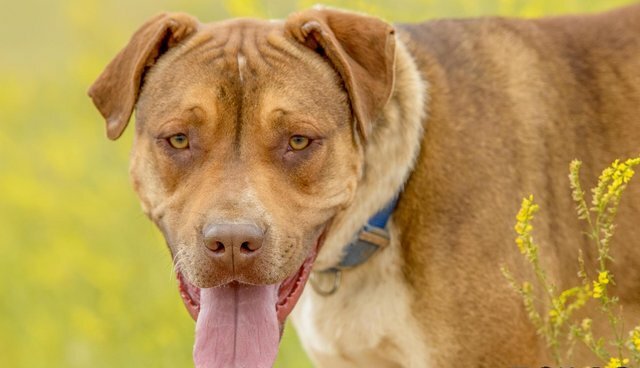 A dog named Connor had been deemed unadoptable by another rescue center when he arrived at the Teller County Regional Animal Shelter (TCRAS) in Colorado earlier this year. TCRAS director Nancy Adams tells The Dodo that Connor has a condition known as "Cerebellar Hypoplasia," meaning that his cerebellum never fully developed. He was thought to be far too rambunctious to find a home - almost like a "permanent puppy," with all the behavioral problems that come with one. 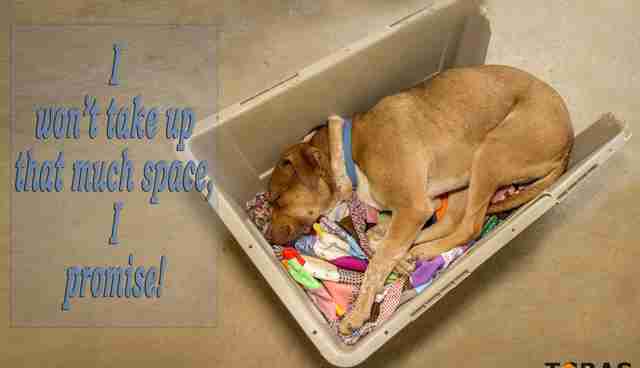 And, as local news station KUSA reports, that was leading potential adopters to shy away from him. But it turns out, Connor really wasn't so incorrigible after all. He just needed someone to realize that he doesn't experience things the same way that most dogs do. Volunteers at TCRAS, a no-kill facility, specialize in teaching rescue dogs with behavioral problems the basics to improve their chances of adoption, though Connor proved an especially difficult pupil. After six months of instruction, he showed virtually no signs of improvement. The dog just seemed unreachable, as if he was living in a world cut-off from everyone else. And in a way, he was. "We worked with him, but couldn't decide if he was stubborn or why he just didn't seem to get it. He just never reacted or would do what they wanted," says Adams. "Finally, one of the techs here said ‘I think he's deaf!' So we took him to the veterinarian's office and were told that he is profoundly deaf." With that diagnosis, things suddenly became clear; Connor hadn't been ignoring the volunteers' efforts all this time, he just couldn't hear them. 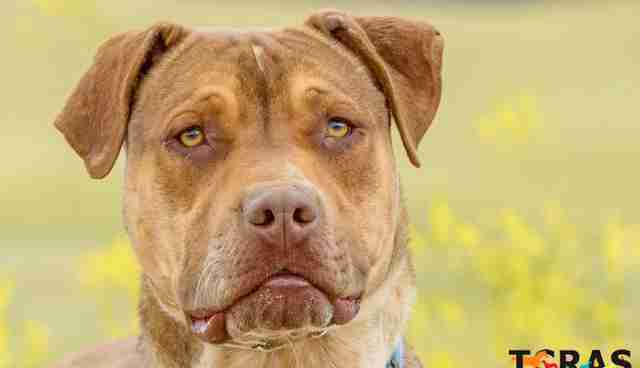 So the shelter then took the time to train him in a way that he could understand - and that made all the difference. "After that point, one of the technicians here decided that she would teach him sign language, because she had studied sign language in her past. So she started working with him one-on-one, teaching him signs for basic commands," says Adams. "It was like a flip had switched. All of a sudden he was so well-behaved, and he would learn commands so quickly. It was like he was a different dog. He blossomed." "He began bonding with us, and most importantly, he learned to trust. He was never a dangerous dog, but he didn't understand that there were boundaries. But once he could be taught doggy manners, he became such a nice dog." Adams said that, even with his shift in behavior, it would still take a special person to give the dog the life that he deserved. But after KUSA aired a story on Connor's remarkable transformation, and the dedicated animal rescue workers who helped make it possible, they soon found a perfect fit. "A deaf man heard about our story when it aired on the news, and he came in and saw us," says Adams. "He met Connor, and it was a match made in heaven. They got along wonderfully. He took him home that day and they were both so happy."